Take direct mail marketing to the next level by using printed envelopes. 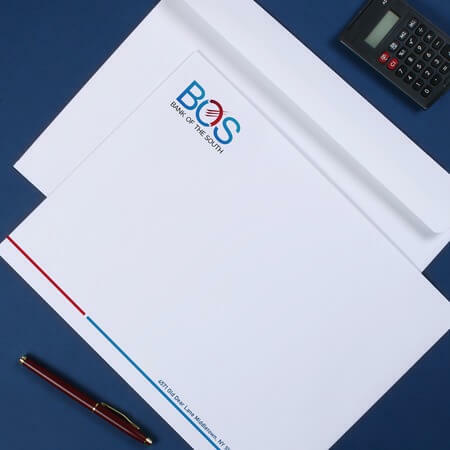 You can print 1-color envelopes with your brand name and logo for a professional look or have them printed in full color for a more creative touch. Use them for direct mail marketing and sending out business letters to create a lasting impression to your partners and clients. UPrinting's envelope printing caters custom printing for 1-color and full color envelopes. Print on 70lb. paper uncoated for full color and choose among 8 popular sizes for 1-color envelopes. Just navigate our calculator and upload your file to place an order. Order as much as 100, 000 and have them ready for shipping in 2 to 6 business days. For more questions and suggestions, don't hesitate to call us at 1.888.888.4211 or click the Live Chat button above and one of our customer service representatives will be happy to assist you! Wondering how to choose between those two envelope types up there? Deciding whether to print your standard #10 envelopes in 1- or full-color depends on whether your priority is price or design; go for 1-color if you’d prefer to save on your envelope printing, but go ahead with full-color if high-quality design is more important. 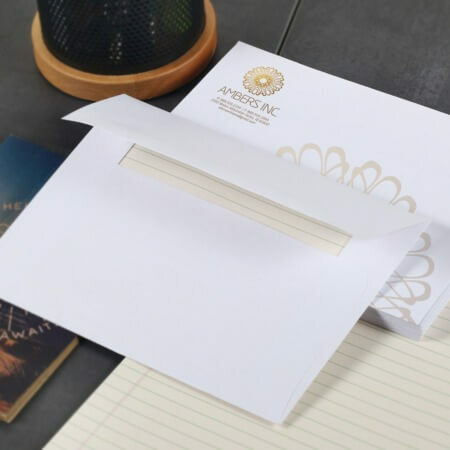 We also offer other sizes and types of envelopes for our 1-color printing that can accommodate contents as varied as greeting cards and catalogs. Full-color envelopes require 6 business days turnaround time, while 1-color envelopes require 3 business days turnaround time on a normal schedule and 2 business days on rush – something to remember if you ever need to place a rush order on them. Plan ahead on your orders to get the best envelope printing experience!